‘Boruto’ Reveals Mitsuki’s Perfected Sage Mode! Fans of Naruto know Senjutsu is not an easy thing to use. The original Sannin struggled to use the form, and Jiraiya never managed to perfect his Sage Mode. Naruto was able to do what his master could not after some touch-and-go training, but the hero isn’t the only one who can use the form now. No, Mitsuki has also tapped into the power, and Boruto just revealed the boy’s perfected Sage Mode. 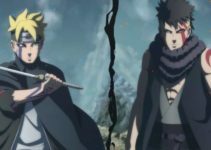 Boruto: Naruto Next Generations released its 39th episode today, and the update got fans buzzing for all kinds of reasons. The episode adapted an epilogue novel detailing Mitsuki’s past, and its final moment saw the young boy uncover a power within himself he didn’t know existed. Boruto’s episode followed Mitsuki as the boy joined Orochimaru on a special mission. The two were looking to get back memories which Mitsuki apparently lost, but their mission was hindered when a strange man in armor appeared. Orochimaru managed to disable the opponent known as Log, but Mitsuki learned from the man that his past wasn’t as clean-cut as he had been told. By the time Orochimaru finished his business, Mitsuki learned he was nothing but a clone. The elder ninjas then tried to persuade Mitsuki to join their respective sides, but the younger boy was not having it. Fed up, Mitsuki lost control of his power and unconsciously slipped into Sage Mode with one intense transformation. As you can see above, the form Mitsuki takes on is a rather intimidating one. The ninja is enveloped by a green aura, and his eyes become elongated like a snake. Scales also appear on the kid’s face, and a single horn grows from his forehead. The overwhelming power gives Mitsuki a major boost in strength and speed which even took Orochimaru by surprise. So, it’s no surprise to hear that fans are eager for Mitsuki to show the power off to his teammates. 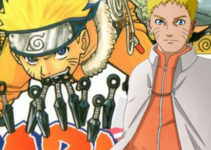 ‘Naruto’ Creator Confirms His New Manga Will Be A Full Series! 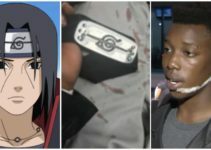 Man Uses Naruto Headband To Defend Himself From Attacker! Most Overpowered Abilities In Naruto! Team 7’s Unexpected First Mission, Something’s Coming! Naruto THO Copyright © 2019. All trademarks, logos, and images are the property of their respective and rightful owners.